Check out Tobi's All On Me Striped Bodysuit It's summer all year round in the All On Me Wine Multi Striped Bodysuit. 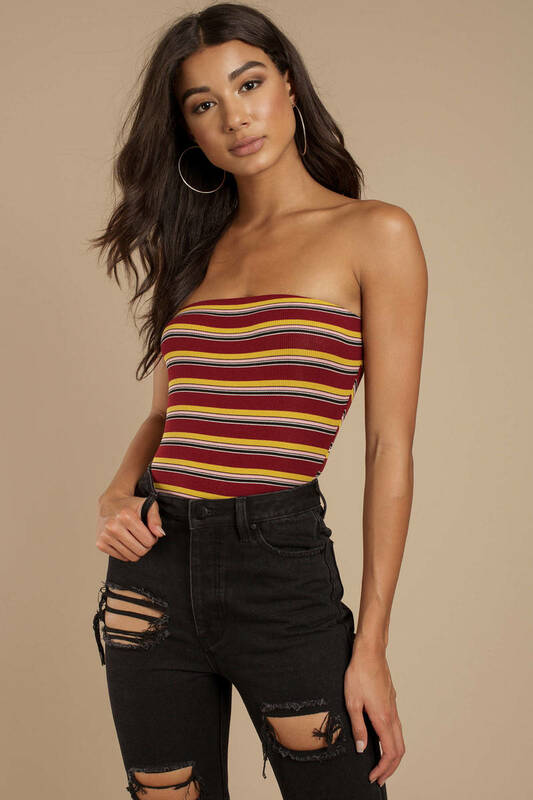 This tube top bodysuit features a sleeveless construction and retro-inspired stripes throughout. 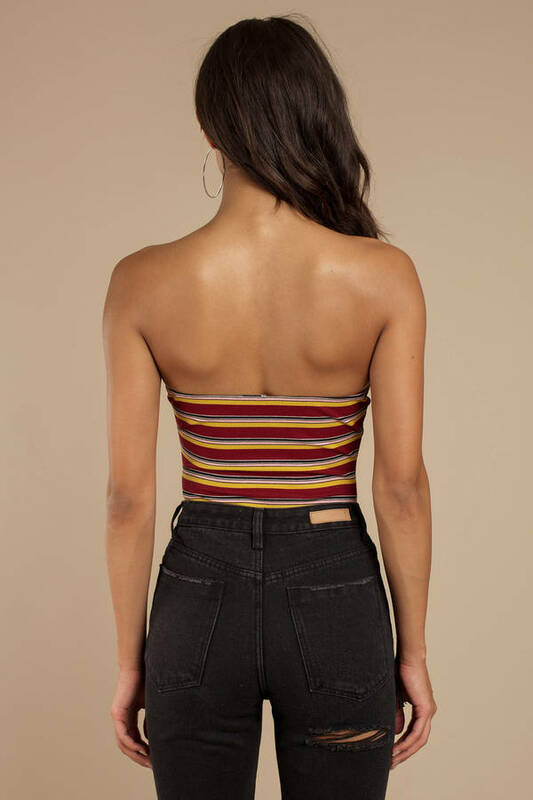 Perfect for sunbathing and topping off your mom jean looks, pair this striped strapless bodysuit with sneaks or heels, depending on your mood. It's summer all year round in the All On Me Wine Multi Striped Bodysuit. This tube top bodysuit features a sleeveless construction and retro-inspired stripes throughout. 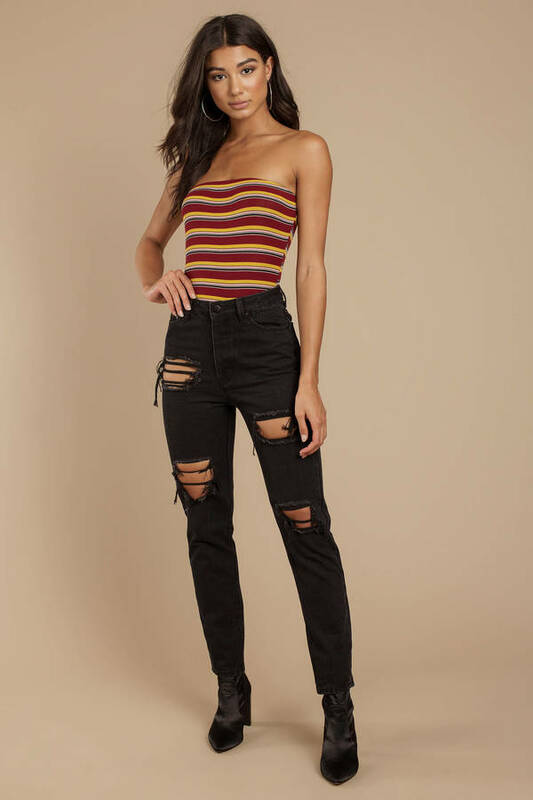 Perfect for sunbathing and topping off your mom jean looks, pair this striped strapless bodysuit with sneaks or heels, depending on your mood.